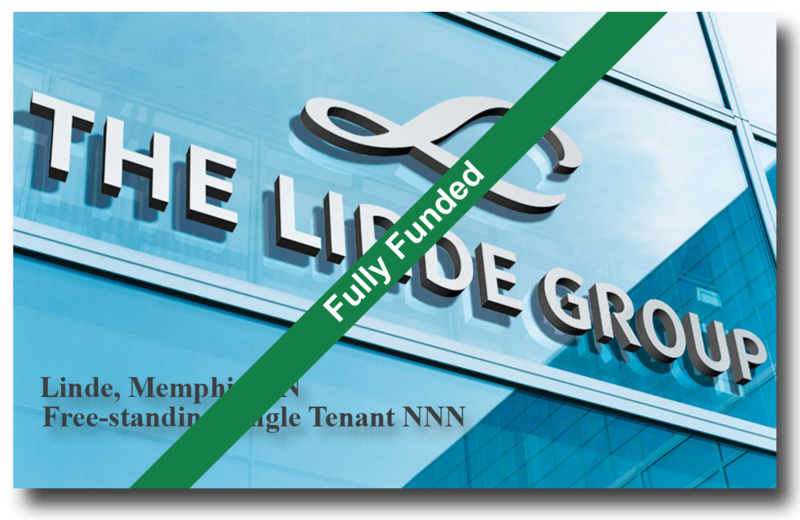 TripleNetZeroDebt.com LLC (“The Sponsor”) is providing the opportunity for investors to invest along with them in this 10,044 square foot, free-standing single-tenant building, 100% occupied by Linde Gas Industries, doing business as Linde located in Memphis, TN. Linde is the world leading manufacturer and provider of industrial, specialty and medical gases. 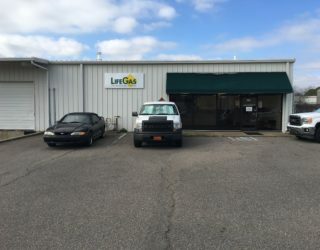 Linde has occupied this property since 2004 and in 2016 installed a new roof. 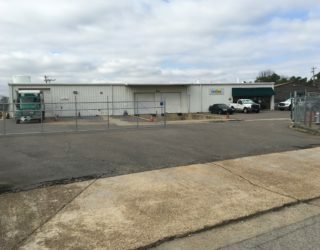 This property benefits from the close proximity to Interstate 240, Interstate 40, Interstate 55 and the 78. 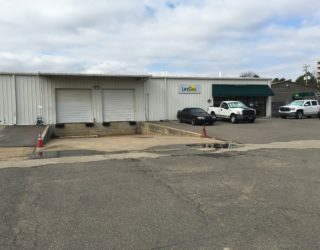 The core objective of this investment is to receive a steady monthly cash flow while the property appreciates over time. Investor’s distributions will commence on the first of the month, 91 days following the close of escrow. Distributions will continue monthly thereafter. The Linde Group has over 600 affiliated companies in more than 100 countries, offering customers of the industrial, retail, trade, science, research and public sectors a comprehensive product and service portfolio. The Linde Group is the largest gases and engineering company in the world. Headquartered in Munich, Germany, the company focuses on sustainable earnings-based growth with a focus on expanding their international business. The Linde Group employs over 64,500 people in more than 100 countries. Their 2015 revenues reach $19.7 billion. The Linde Group (Linde AG) holds a rating of A2 from Moody’s and A+ from S&P. The Linde Group has several divisions, the largest of which is the Gases division. This division has three operating segments in the Americas. These divisions are further subdivided into eight regional business units (RBU). 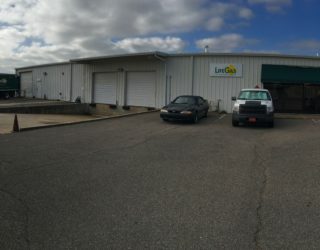 The Linde location in Memphis falls under the Healthcare RBU of Linde North America. The Linde Healthcare RBU offers medical gases with innovative technologies, services and care solutions. Their products support healthcare providers and patients in hospitals, long-term care centers, at home and on the road. Memphis offers an unmatched list of advantages that businesses can employ to become leaders in global commerce. 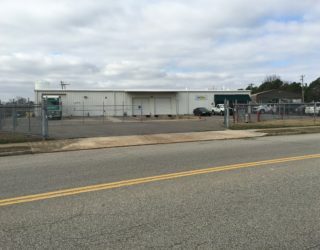 With its natural geographic advantage, its deep pool of skilled logistics workers, and its intermodal edge, Memphis is positioned to become truly “America’s Distribution Center.” Memphis has all the amenities that come with being the 19th-largest city in the U.S. but at a cost of living roughly 10% below the national metro average. Home of the world headquarters and hub of shipping powerhouse FedEx, 400 plus trucking companies and major operations of UPS and USPS. Memphis is uniquely positioned to provide the most cost effective distribution and logistics services in the country, operating 24 hours a day 365 days per year. FedEx Corporation moved their headquarters from Little Rock to Memphis in 1973. Since then, FedEx has grown to a family of companies, providing supply chain and logistics solutions, in addition to overnight delivery, to companies worldwide. Today, FedEx operates with some 32,000 employees. 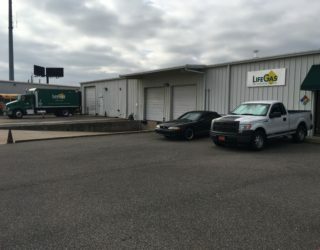 Proximity to the FedEx World Hub, and some of the latest drop-off times for overnight delivery in the country, has drawn several top logistics and distribution operations to Memphis. Memphis offers a diverse metropolitan workforce at wage rates that are lower than most other parts of the country. Over the past three decades, the re­gion’s workforce has a higher percentage of logistics workers than any other metropolitan area in the country. Not only does Memphis draw from a three­ state labor pool, employment is relatively balanced among industries giving the Memphis workforce breadth in both skills and experience. Memphis employs 11.6% of its workforce in transportation, warehousing, and utilities, the highest share among the top 100 Largest Metro Areas in the United States. The Memphis International Airport had dominated as the world’s busiest cargo airport for 18 consecutive years before being edged out by Hong Kong in 2012. The airport handled some 4.0 million metric tons in 2012 and the newly completed $61.5 million air traffic control facility is now the third largest control tower in the United States. Air is not the only mode of transportation for Memphis. A critical part of Memphis’ intermodal infrastructure is the abil­ity to take cargo from planes and barges and quickly distribute these via truck. The nation’s 3rd-busiest trucking corridor (1-40 between Little Rock and Memphis) connects the Atlantic and Pacific Coasts and runs directly through Memphis, allowing Memphis to serve more metro markets overnight (that’s within 600 miles) than any other U.S. city . Additionally, Memphis is one of only four U.S. cities served by 5 or more of the U.S.’s 6 long-haul Class I rail systems. The Mississippi River continues to be a vital component of the U.S.’s transportation network and the river has remained a critical intermodal advantage of the Memphis area. With the 4th largest inland port in the nation and the 2nd-largest still water port on the Mississippi, it handles more than 16 million tons of cargo annually.